Description: River traffic passes the shipyard in the early morning on the Mekong. The family owned shipyard is one of seven major boat repair facilities serving the Mekong transport vessels outside the city of Ben Tre. 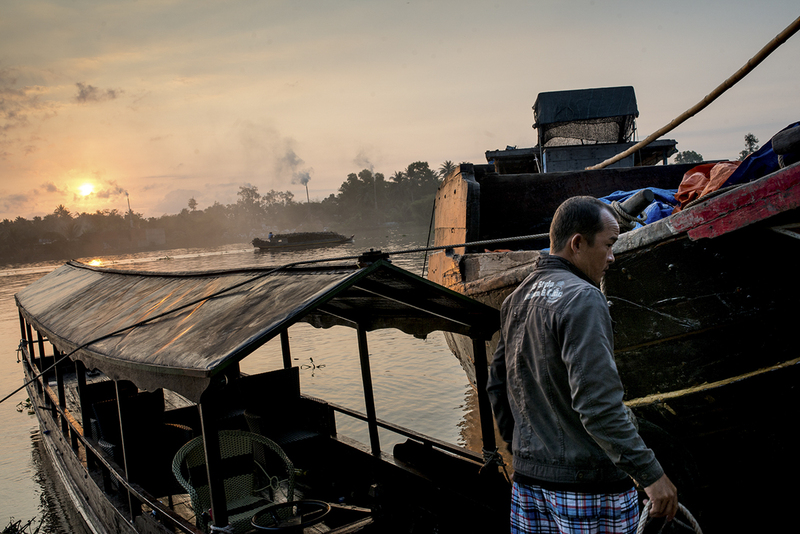 Caption: River traffic passes the shipyard in the early morning on the Mekong. The family owned shipyard is one of seven major boat repair facilities serving the Mekong transport vessels outside the city of Ben Tre.